The Garfield County Emergency Communications Authority, has implemented a state-of-the-art emergency notification system to alert citizens about emergencies and other important community news. The emergency notification system, provided by 3n Global, enables the Public Safety agencies within Garfield County to provide essential information quickly in a variety of situations, such as severe weather, fires, floods, unexpected road closures, or evacuation of buildings or neighborhoods. The process begins when the 9-1-1 Center issues a message about a potential safety hazard or concern. Messages will be sent to all standard voice and text communication devices, including land line phones, cell phones, e-mail, and more. If you don’t confirm receipt of the message, the system will try to reach your second contact number or email. The system will continue trying to contact you until it receives a confirmation from you. To receive important communications from the Public Safety agencies within Garfield County, residents, business owners, and neighbors must register the voice and text communication devices where they wish to receive messages. PLEASE NOTE: Community notifications such as road closures are sent only via text message, email, and fax. Emergency alerts will be sent to all paths that are selected. Residents, businesses, and neighbors with listed telephone numbers have already been included in the system. You may use the registration link to include additional ways to contact you. All information you provide will be kept strictly confidential. The Garfield County Emergency Communications Authority is not responsible for incorrect information by participants in the Opt-In program or for any charges or fees that may be charged to participate by telephone or data service providers as a result of the information provided by participants in the programs. It is the sole responsibility of participants to keep any information provided current. Click the button below to update your information or opt out of the Authority’s emergency notification system. 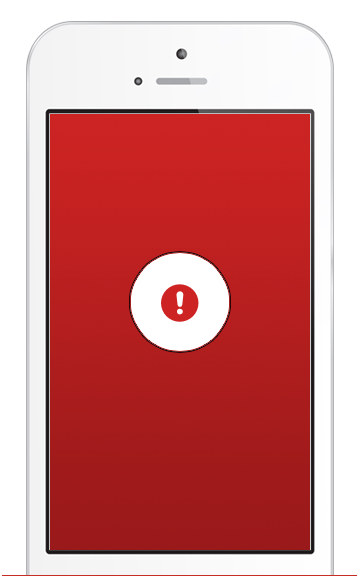 By opting out of the system, you will no longer receive emergency or community notifications. For information or questions regarding the emergency notification system, please contact the Communications Authority at 970-625-8095 or support@garco911.com.